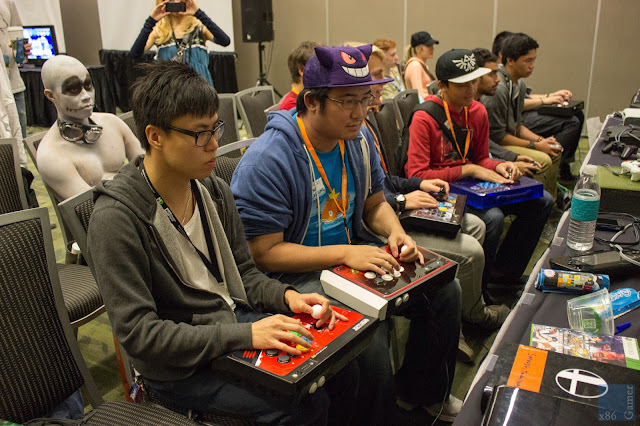 The games room at Anime Revolution 2015 was one of the best places to unwind and watch some seriously talented gamers go head to head in a variety of tournaments. 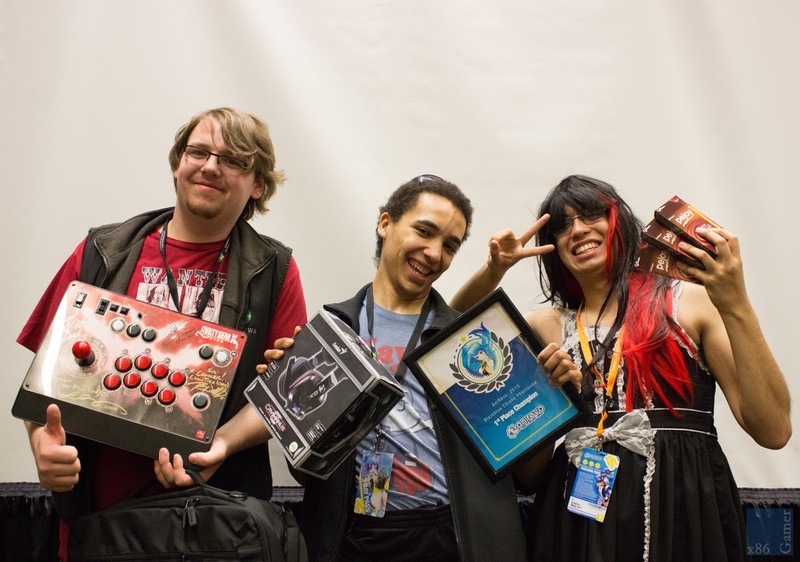 This year the games room boasted a new room layout, more tournaments, and some of the best prizes this event has ever seen. The games room changes every year and this year is no exception. 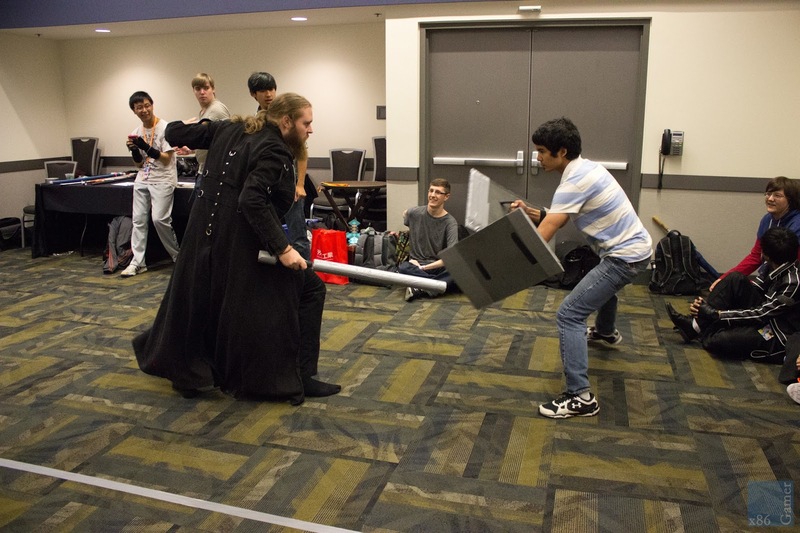 In 2014, the games room played host to console gaming and tabletop gaming in Ballroom C. This year, the convention switched things up to provide gamers with more space and subsequently more tournaments. The games room consisted of two separate meeting rooms on the upper floor with one room for console gaming (Meeting Room 2/3) and one for tabletop (Meeting Room 1). 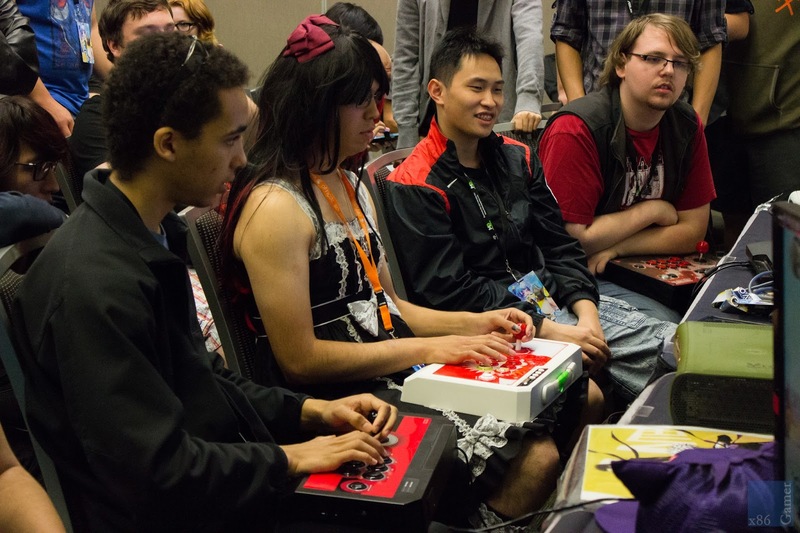 This allowed the console room to do something it has never done in previous years: swap out equipment on the fly. For every tournament, the games room staff would swap out from older CRTs to newer LCDs depending on the game which created a lag free experience for gamers and ensured a quality experience from start to finish resolving one of the issues from previous years. They accomplished all of this without interrupting or navigating through any of the tabletop games as they were in a separate room altogether. This is definitely the way to go for all future cons! 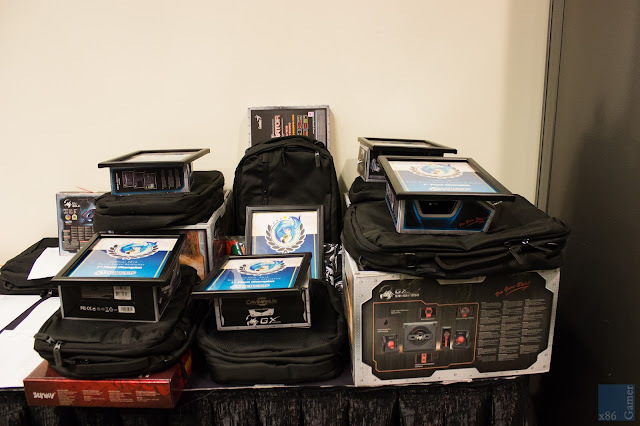 In addition to the far superior layout and amazing attention to detail by the convention staff, the console room ran every tournament efficiently and on time with players being rewarded for their efforts with top notch prizes. The console games room handed out plaques for Super Smash Brothers Melee Singles, Dance Dance Revolution, Super Smash Brothers Wii U, Street Fighter IV Tournament, Dive Kick, BlazBlue Chronophantasma, and Super Smash Brothers Project M! Did I mention it was a great place to be if you're a Smash Brothers fan? Along with the plaques, this year's games room was sponsored by Memory Express (memoryexpress.com) and, as you can imagine, the prizes were absolutely insane with tournament winners walking away with PC surround sound systems, headsets, gaming mice, gaming keyboards, t-shirts and bags. If you haven't stopped by to enter any of the tournaments at the Anime Revolution games room, you're missing out on a chance of winning some seriously epic loot. The console gaming room kicked things off on Friday, August 14 with it's Super Smash Brothers Melee Singles Tournament presented by UBC eSports at 12 pm and it's highly anticipated Dance Dance Revolution tournament at 2 pm. The Supers Smash Brothers tournament had 40+ entries with participants playing the best of 5 matches. The finals took place with the crowd favourites Sion and BiscuitTricks fighting it out for the top spot with a decisive victory going to Sion. 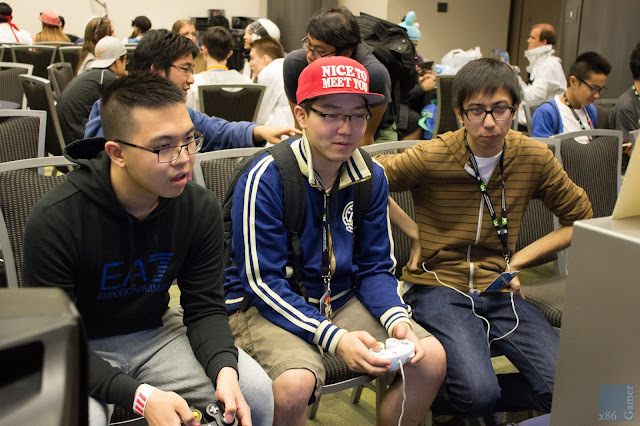 After the match, the top three revealed they are all friends and compete on a regular basis in all local tournaments with the finals always being a relaxed matchup between friends. It was definitely fun to watch! The Dance Dance Revolution tournament also took place on Friday and had approximately 35+ entries. This year's tournament changed to a single elimination format where entrants were allowed to dance two songs with their highest scaled score determining their final placement. 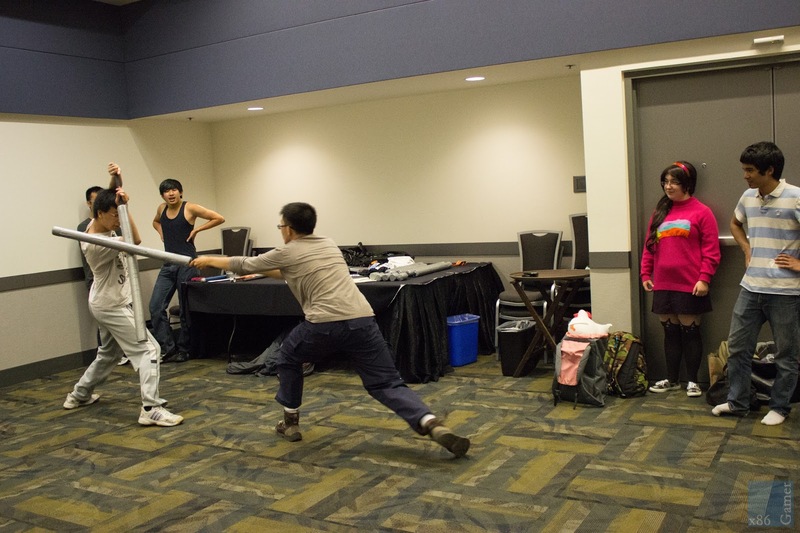 As a result of the change, this year's tournament stayed will within its allocated time frame and allowed for individuals to enter after the tournament was underway. A new victor was crowned in 2015 with SunnyDay taking the top prize and runner up Robert Smith (last year's winner) had to settle for second. It was a great tournament with a huge audience cheering on the entrants! 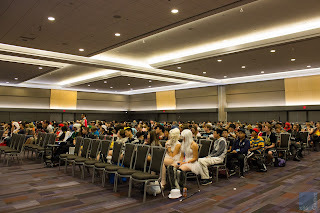 As for next year, I'm hoping organizers will allocate more space for the tournament as the play and spectator areas were a little tight. Traditionally the busiest day for any con, Saturday only boasted one tournament and for good reason: turnout. 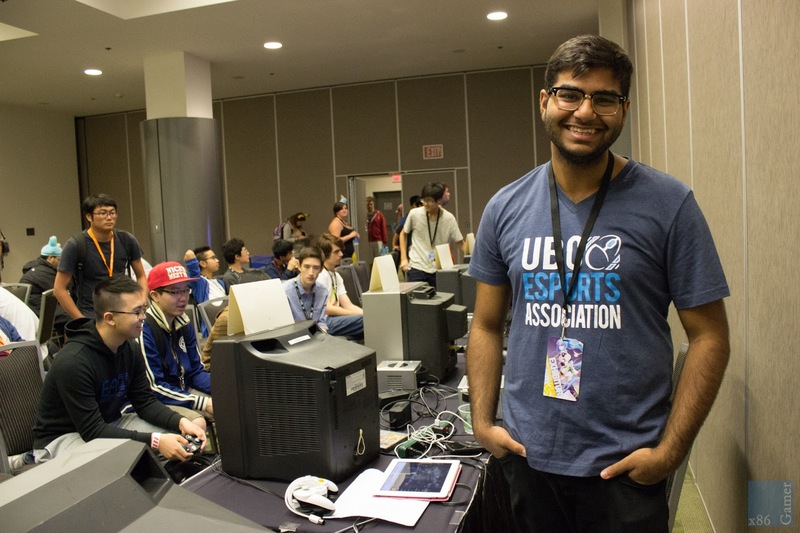 The Super Smash Brothers Wii U tournament had over 60+ entrants with a ton of heated matches in a best of 5 elimination tournament. The tournament started at 11 AM and wrapped up just before 6 pm with a tense battle between Landon Trybuch and Rommell Snell captivating the crowd. 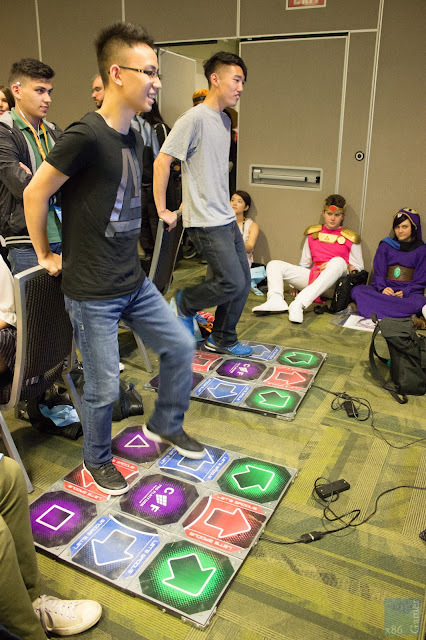 The final day of the convention also had the most tournaments taking place with Street Fighter IV, Dive Kick, BlazBlue Chronophantasma, and Super Smash Brothers Project M. The day began with Dive Kick and Street Fighter IV at 11:00 AM. Dive Kick is an adorable game where individuals attempt to kick their competitor or dodge their attacks with a kick. Once a person has been kicked, the round ends. Each game consists of 5 twenty second rounds and this tournament lasted for approximately 15 minutes with only 10 participants. Unfortunately, the winners took off before I had a chance to speak with them! On the opposite end of the room, the very vocal and rowdy Street Fighter IV tournament was well under way with the tournament finishing around 3 pm. While this tournament did run longer than its allocated time, it was one of my absolute favourites to watch as the crowd and participants were very vocal each match! 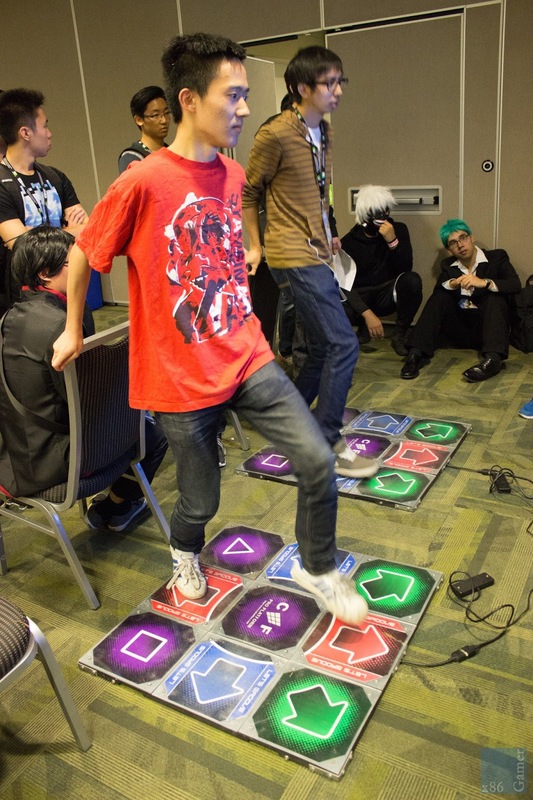 The BlazBlue tournament kicked off immediately following the Street Fighter IV tournament with just as many participants and an equally loud crowd. The action was nonstop with some very intense matches with the Lite Serene and Conner Gildemeister battling it out for the top spot. 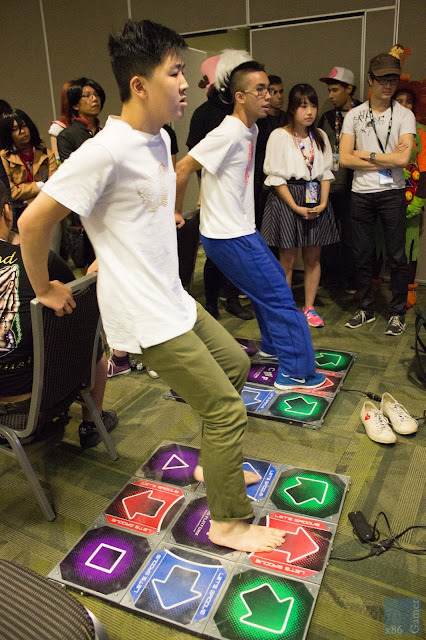 The final was close as both competitors were equally matched in skill. This tournament kicked off at 3:30 pm and finished at approximately 6:15 pm. The final tournament of the convention is what I have started referring to as the marathon tournament. 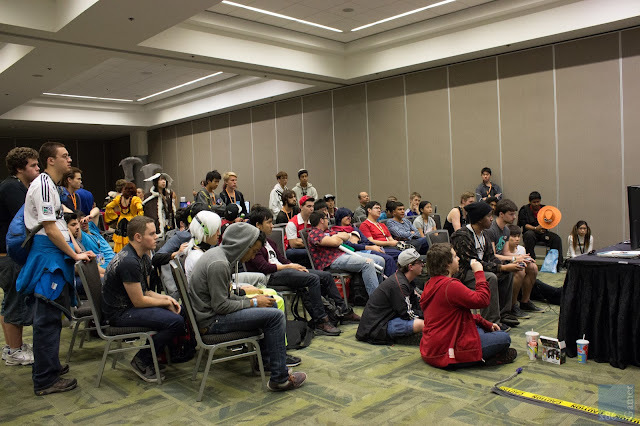 Super Smash Brothers Project M started at 11 am with 95+ entrants and was by far the largest tournament of the weekend. As with every Project M tournament (No, seriously, I swear every single one I have every attended), the tournament ran well over time wrapping up with a decisive final 7:15 pm. 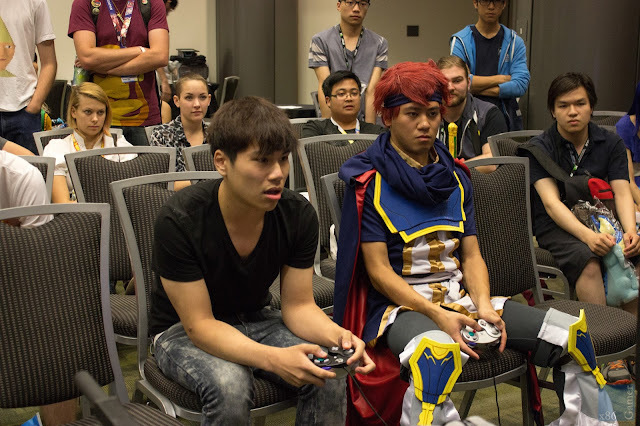 The finals had a large crowd despite the time and you could almost feel the tension in the room as both gamers faced off. 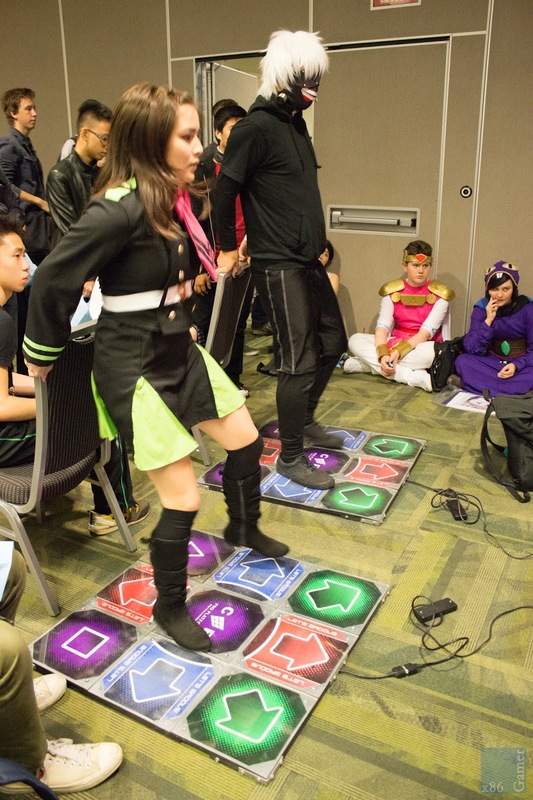 The crowd roared when mistakes were made (Yes, people fell off) and was dead silent the rest of the times making this tournament unique to watch at Anime Revolution. 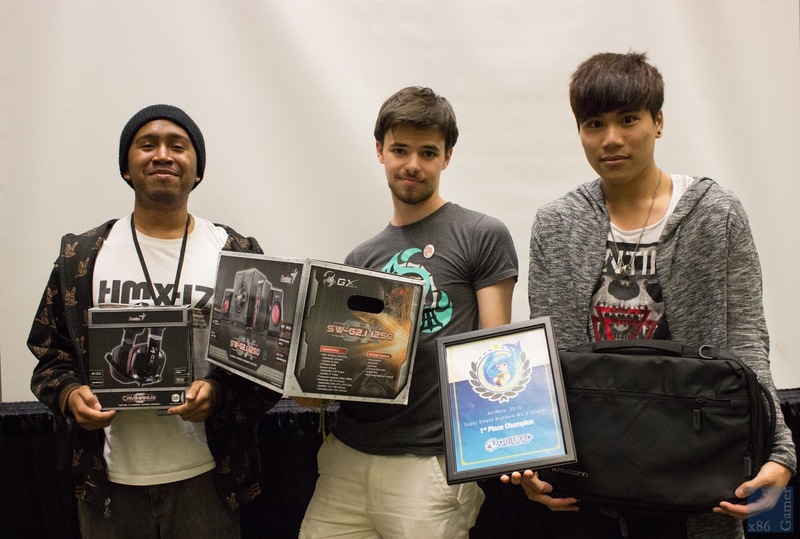 Congratulations to Jason Seen (Focus) for placing 1st in Project M as well as 3rd in the Smash Wii U. Jason was the only individual to place in two separate tournaments at Anime Revolution! Can you say holy tournaments, Batman? 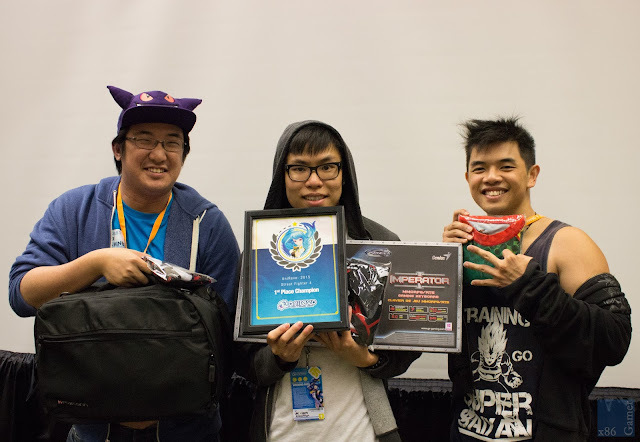 Anime Revolution was the place to be if you love to compete and are a Smash Brothers fan. 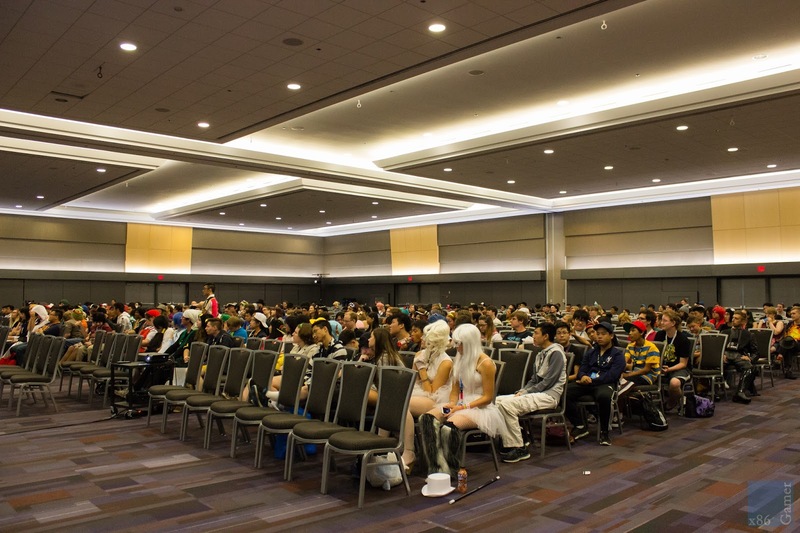 The games room was exceptionally well run this year with organizers correcting past mistakes and expanding the amount of content in this year's room. 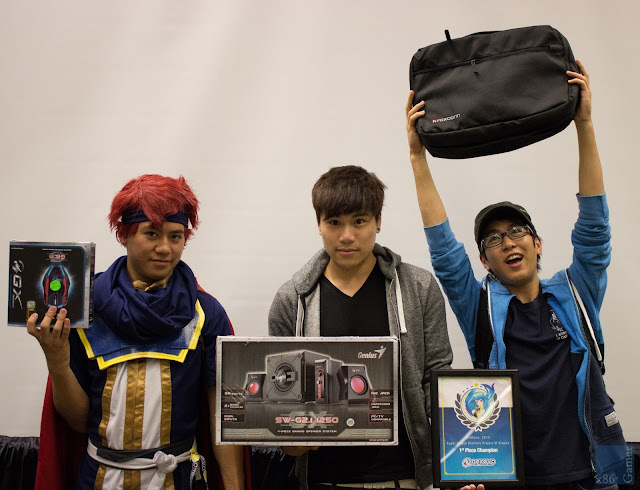 I hope everyone had a blast watching and participating in the tournaments :)! 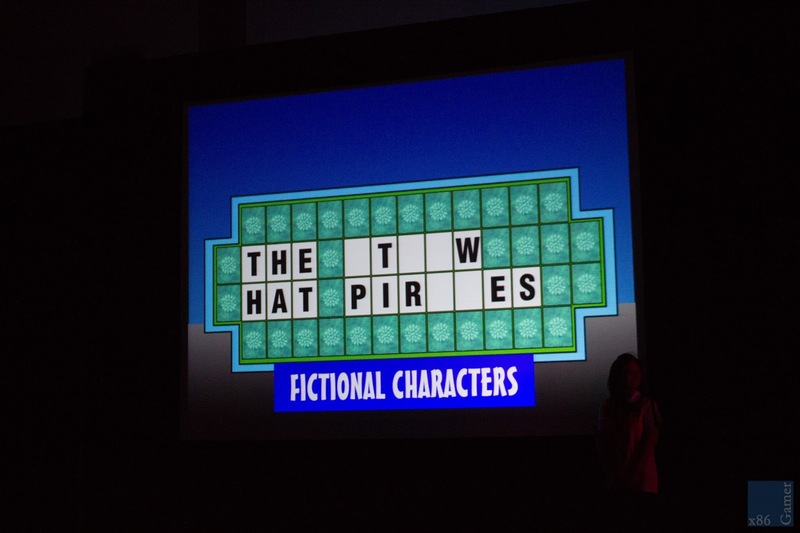 I had a chance to attend Wheel of Fortune and the Pokemon Game Show. 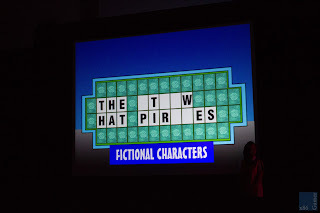 The Wheel of Fortune panel was exactly like the TV show with three participants chosen from the Anime Revolution crowd spinning the wheel, guessing consonants, and buying vowels to solve the puzzles. The players earned Yen which turned into a real dollar amount by the end of the show that could be used to "buy" their prize in addition to the random prizes available on the wheel with all prizes sponsored by Crunchyroll and Funimation. It was a great way for participants to receive a 3 or 6 month membership to either service! and game play where players advanced by answering Pokemon questions to battle various trainers. The game relied on a fair amount of luck when guessing which panels contained the correct attack to bring down a pokemon. As a result of this luck oriented system, the Pokemon Game Show's winner was the first person ever to win the show without correctly answering a single pokemon question! The show was highly entertaining and Greggo allowed the crowd to answer any questions the contestants answered incorrectly. 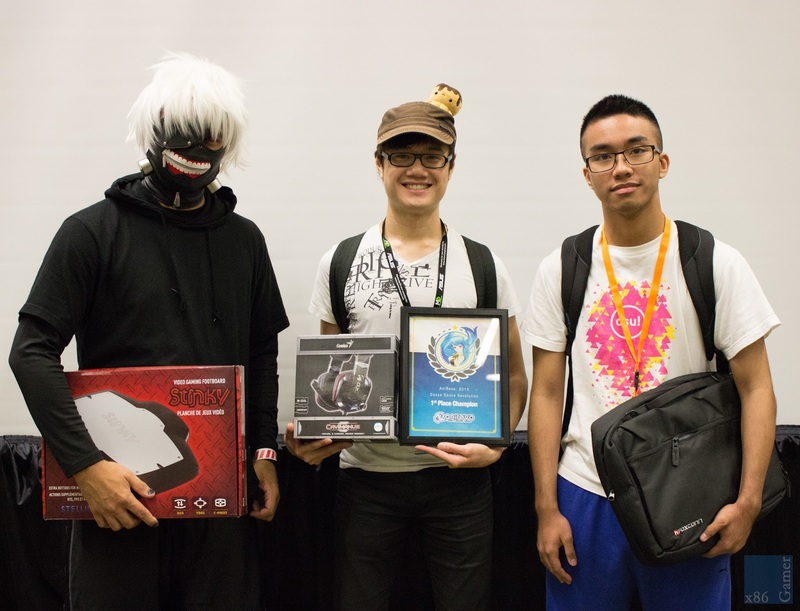 It was very interactive and fun to watch with the winner walking away with a free 3 day pass to Anime Revolution 2016! 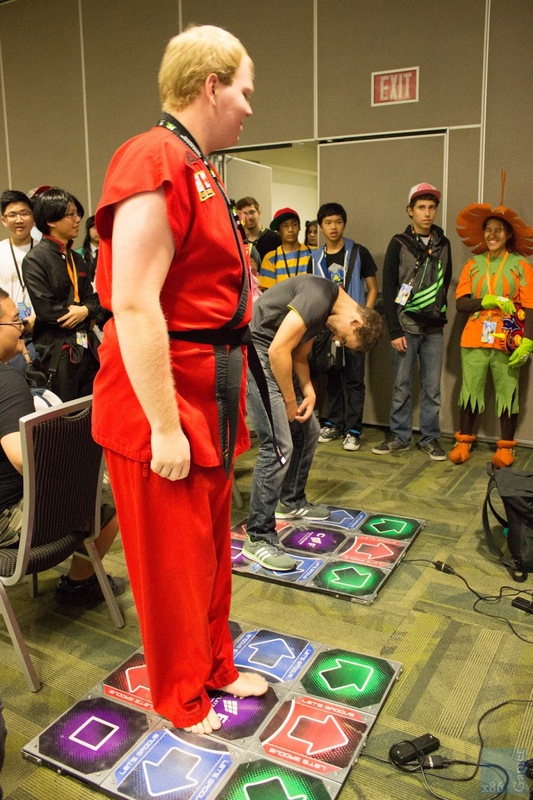 Greggo's Game Shows were an excellent addition to Anime Revolution 2015 and something I would love to see in future years. 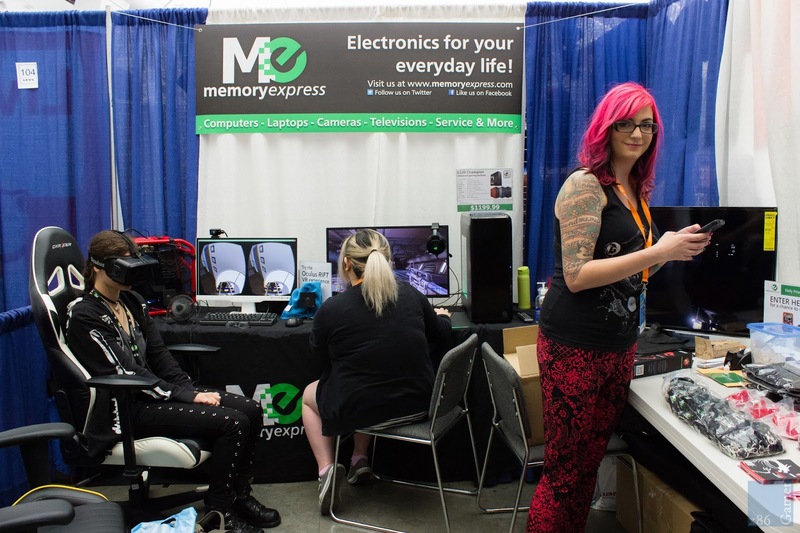 The game shows were my favourite part of the convention and offered a different, interactive gaming experience that appealed to everyone. The game shows were recorded and this article will be updated to include all of the episodes when they are posted to YouTube. If you're interested in watching previous episodes of Greggo's Game Shows click here. It's back! I wasn't sure if this tournament would be returning for a subsequent year as a result of people taking quite a few hits to the face last year. It did end up returning with all new accidental hits to the face and some very cool foam sword prizes. The popularity of this tournament increased exponentially this year with the convention running three tournaments in one day. 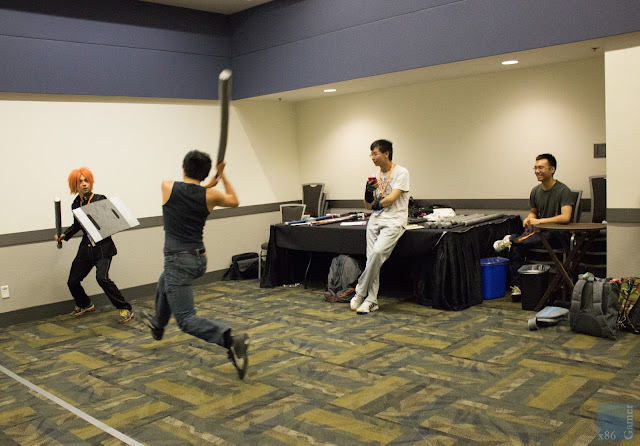 The tournament took place in a small space than last year and this showed as competitors did accidentally nail the wall a few times, but it does beat falling off a stage so there's that. 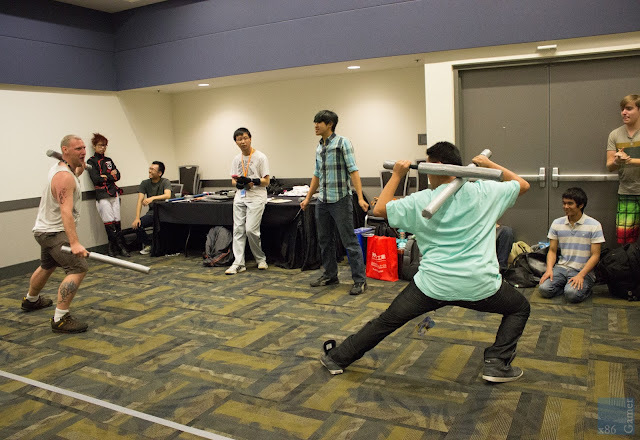 The fast paced tournaments had the same rules as last year with no hits to the face and each competitor starting out with 5 points. 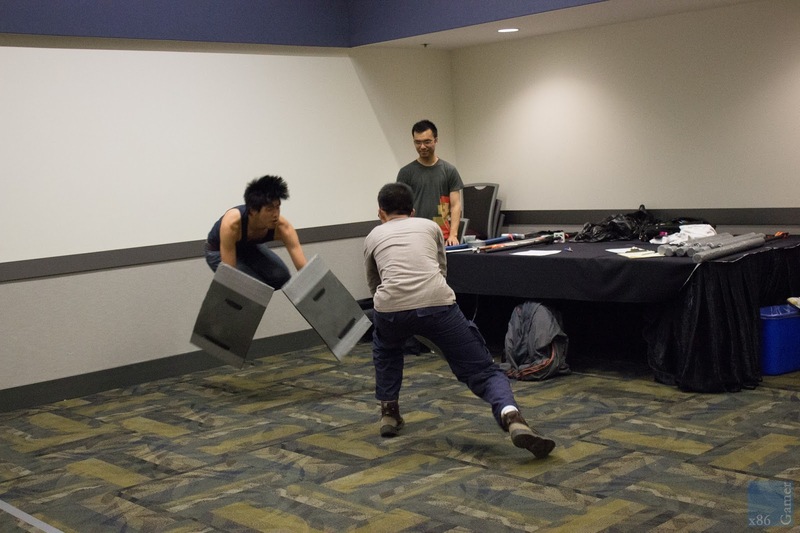 This year the tournament allowed participants to fight using two shields for the first time. Individuals using this setup received 3 extra health points and could only defend with the only chance for victory coming from surviving the entire 3 minute match. Many of the participants came close; however none managed to survive the entire time. 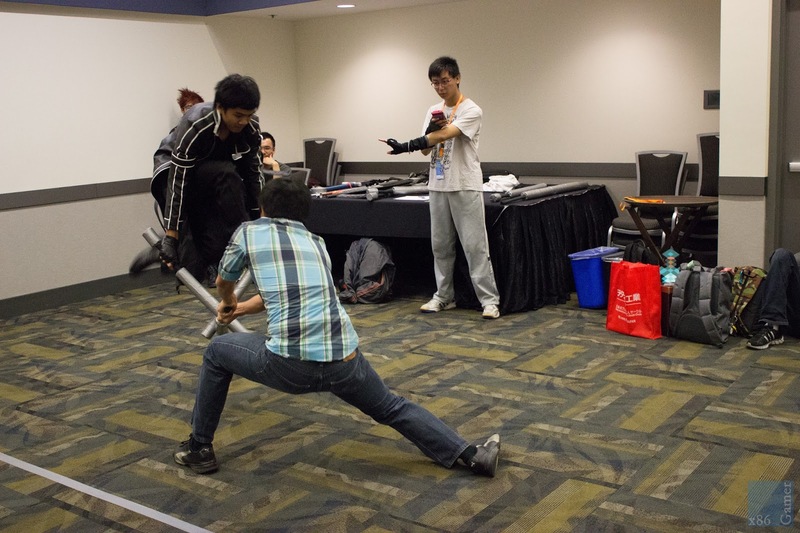 Overall, the tournament was fun to watch and is still one of my favourite panels at Anime Revolution. 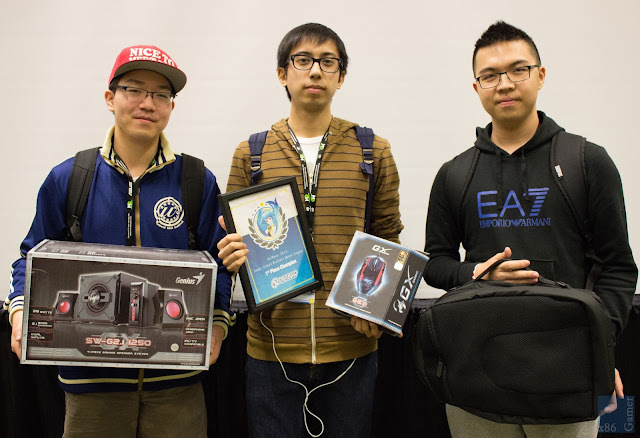 If you love to game and are looking to challenge some of the best in the Lower Mainland, this is the convention to attend. 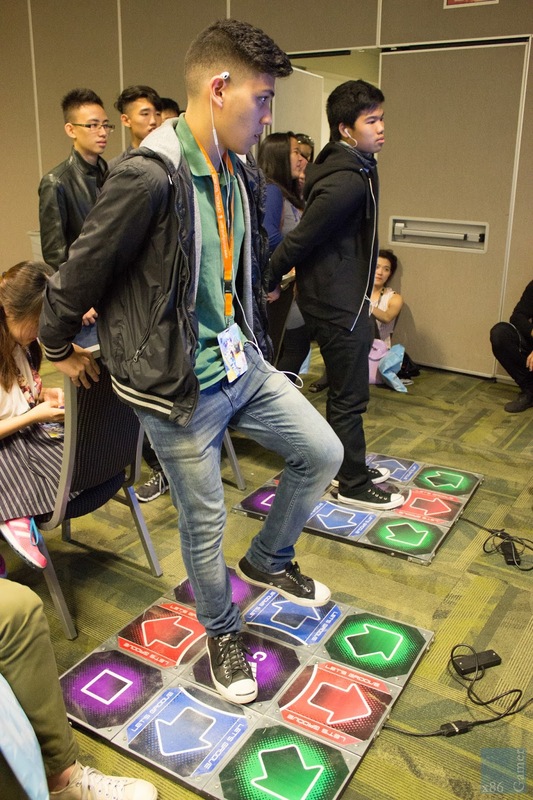 Between the tournaments and game shows, there is something for everyone at every skill level. This is a great place to meet new people, relax, and catch some great action. 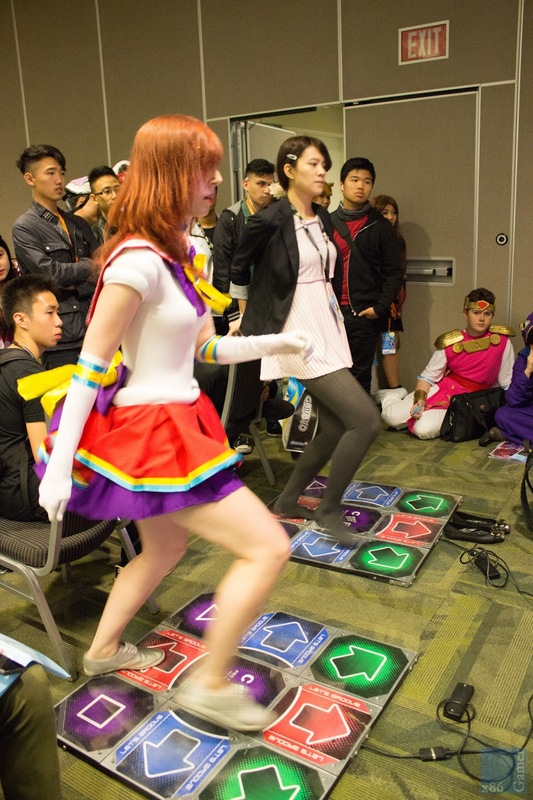 If you haven't stopped by the games room at previous events, I highly recommend taking the time out of your busy con schedule to stop by the games room and see what you're missing! 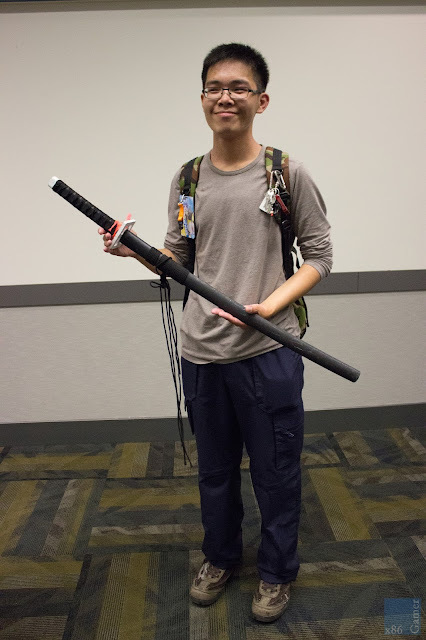 I hope to see everyone next year and I can't wait to see what Anime Revolution will do next!